Lift Safe’s lifting platforms are the perfect tools to meet your lifting requirements. Our standard lifting platforms can lift up-to 5,000 kg and each platform comes with a wide variety of lifting heights. 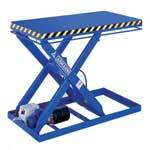 The GAMMA 800 12v is an all purpose electric lifting table which is powered by a 12v electric battery. It has a 800kg maximum capacity and a maximum lifting height of up to 1,475mm. The GAMMA 800 M is an manual lifting table which is lifted by the user via a double effect manual pump. It has a 800kg maximum capacity and a maximum lifting height of up to 1,475mm. 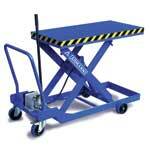 The TE is an all purpose electric lifting table which is powered by a three-phase 380/220v control unit. 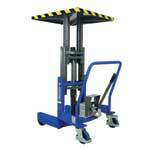 It has a 5,000kg maximum capacity and a maximum lifting height of up to2,000mm. The TM is an manual lifting table which is lifted by the user via a double effect manual pump. 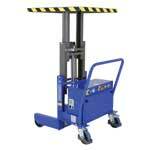 It has a 1,000kg maximum capacity and a maximum lifting height of up to 1,300mm.